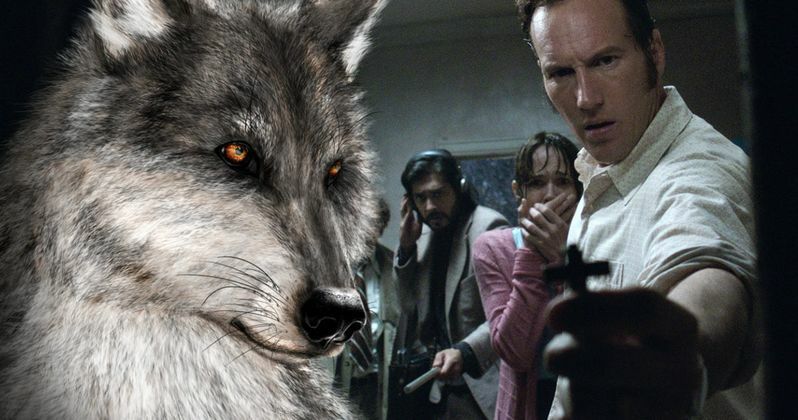 Is The Conjuring 3 About Werewolves? James Wan is at the absolute top of his game right now. The Conjuring 2 beat out both Warcraft and Now You See Me 2 at the box office this weekend and his previous film Furious 7 went on to be one of the highest grossing films of all time. It is a foregone conclusion at this point that The Conjuring 3 is going to happen, but what will it be about? Well, as it turns out, maybe about werewolves. In a recent interview with Cinemablend while out doing press for The Conjuring 2, the subject of where the franchise could go came up. Though they have focused on Exorcist esque hauntings up to this point, the idea of shaking it up for a third entry certainly doesn't appear to be out of the question. When asked if he would be interested in doing something involving werewolves, Wan seemed not only receptive, but enthusiastic about the prospect. "Maybe we can go and do it like a classic American Werewolf in London style. That would be awesome! The Warrens set against the backdrop of The Hound of Baskerville. That would be awesome." The idea wasn't founded in total and complete randomness either. The Conjuring franchise has been based on the case files of Ed and Lorraine Warren, who are played by Patrick Wilson and Vera Farmiga in the films. Though most of their cases are about demonic possessions, Ed Warren did publish a book in 1991 called Werewolf: A True Story of Demonic Possession. With some adjustments to the source material, it could make for a very cool possession and monster movie simultaneously, and Wan seems like the right guy to do it. Warner Bros. has not confirmed plans for a third installment of The Conjuring franchise yet, but after the very successful opening weekend and another round of very positive critical reception, it wouldn't at all be surprising if we get an announcement sometime soon. James Wan did mention that he, the writers and the studio have already been sifting through some of the other Warren case files to figure out which ones might lend themselves to a good third installment. But the short list right now isn't all that short. "They have a lot of cases. I'm not sitting there sifting through every single one, but I think, you know, between the writers and the studio, I think they have a short list of their favorite, like basically the top 20 or 30 of the Warren's favorite cases." Wan is moving back to the world of big budget action next, but this time it will be in the superhero landscape as Warner Bros. has tapped him to direct Aquaman. Production should be starting on that film just after Justice League wraps up and has a July 27, 2018 release date, which might make it tricky for Wan to squeeze in The Conjuring 3 should it get the greenlight. Either way, Wan will probably at least be back as a producer but Warner Bros. would very likely want him in the director's chair if at all possible. The Conjuring 2 is in theaters now.